The Alberta-born comic says he was attacked by neighbourhood kids. A childhood amid racism in Calgary in the '50s and '60s was comparable to growing up in Mississippi, said comedian Tommy Chong. The 77-year-old multiracial actor told The A.V. Club in an interview published on Monday that he was attacked by other children in his neighbourhood. "We’re mixed — you know my dad’s Chinese, my mother is Scottish-Irish, and we were living in Calgary, Alberta, Canada, which is like living in Biloxi, Mississippi, as far as racism goes. And so one time when we moved to a different neighborhood, we got attacked by some kids. My brother and I were coming home from a friend’s house late at night and this gang of kids — white guys, you know — attacked us and bullied us a little bit, and we went home and told our dad." One Calgary resident who knew Chong at the time disagrees with the assessment. John Anderson, son of legendary Stampeders player Ezzrett “Sugarfoot” Anderson, was raised in Calgary after his father was kept out of the NFL due to racial segregation. “I do take offense at the comparison — I would not compare Calgary with Mississippi,” Anderson, now 72, told The Calgary Sun. Anderson said that the difference between Calgary and the southern U.S. — which has a violent history of racial division —was driven home when his mother wouldn't let him use a scholarship to play football in Oklahoma. “She said ‘you wouldn’t last a week. You don’t know how to be black, and you’d get shot," Anderson recalled in his interview with the Sun. Despite the childhood trauma, Chong apparently has fond memories too. “All my good memories are in Calgary, that’s where I got rid of my virginity, smoked my first joint, I grew up there,” Chong told The Weal in 2011. Chong, who was born in Edmonton and grew up in Calgary, was honoured with Calgary's White Hat ceremony when he visited the city in 2009. 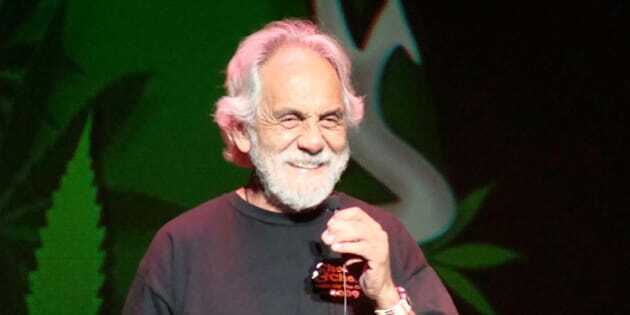 Chong was not available for comment, but his publicist James Weir said in an email statement: “In Tommy Chong’s AV Club interview, he was referring to Calgary in the 1950s not present day Calgary."